Here's another fun experiment just before Halloween! Grab a few materials and go! This one is an easy setup and great for getting your kiddos involved. 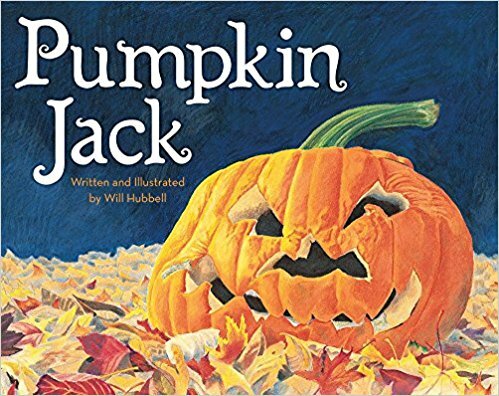 It doesn't take too long before the pumpkins start to change in some of the liquids and kiddos can watch as it happens! This experiment will generate some great observations and discussions! Find more about how to set up the Dissolving Pumpkins experiment on this blog! Drop the pumpkins in each liquid! 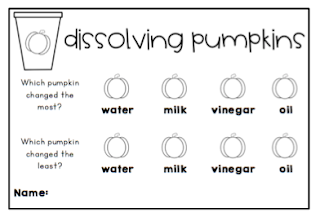 After just a bit, you can observe some changes happening to the pumpkins in 2 of the liquids! 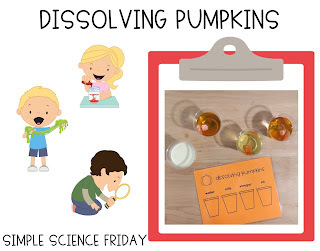 Time to take the pumpkins out of the liquids! Kiddos can observe the changes up close! Let's see how the pumpkins changed! Want to pair this experiment with a book? 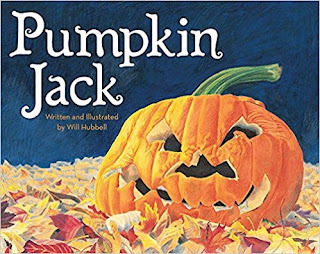 Try Pumpkin Jack! Here's the recording sheet we used! Click the pic to download a copy!